Who Created The Original Apple Emoji Set? Apple's emoji font — Apple Color Emoji — is iconic. 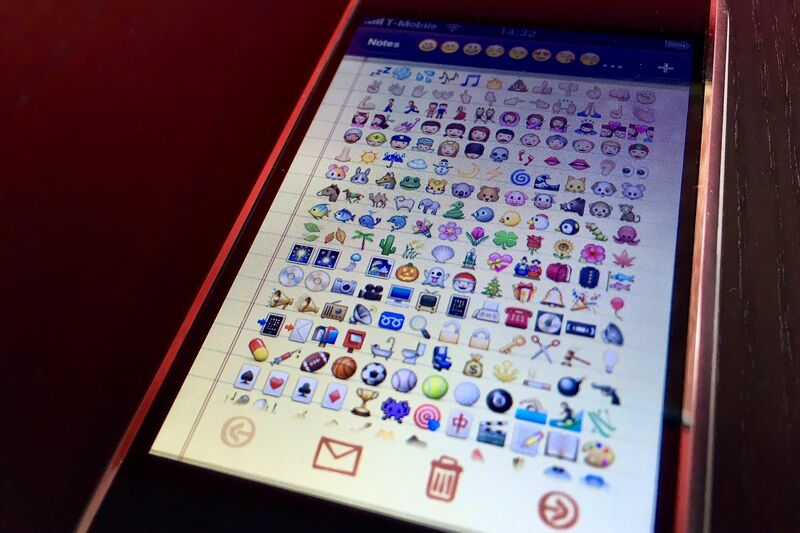 It wasn't the first emoji set in existance, but it is certainly the most recognizable. First debuting as part of iPhone OS 2.2 on November 21, 2008, this font is now ten years old. The original set of 471 characters have seen outsized influence over the design of emojis on many platforms in the years to come. The font on iOS (nee iPhone OS) that includes all the emoji characters is called Apple Color Emoji and it has been around in various forms since 2008. Originally containing 471 emojis for the Japanese market only, many of these original designs still largely resemble their modern counterparts. Above: High resolution renders of original emoji designs. Image: Apple / Angela Guzman. One of the goals of Apple's first emoji designs was to be compatible with the SoftBank emoji set from Japan. While each Apple emoji was created from scratch, there was an incentive to ensure these conveyed the same sentiment as the set already in use on other SoftBank phones. 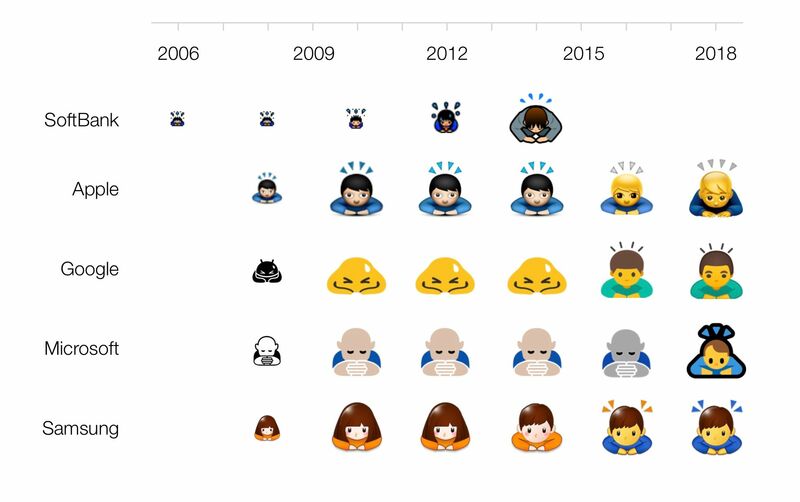 Above: Evolution of emoji designs across multiple platforms 2008–2018. Image: Vendors / Emojipedia composite. What's been clear in the years following the release of this set is that the convergence in emoji designs between platforms primarily skews toward the design choices made at Apple. Many are from this first emoji set. Raymond and Angela created the majority of the original Apple emoji designs and Ollie contributed to the completion of nearly two dozen emojis within this set. It was once common for an about box with credits to show who worked on a particular software application, but that is no longer the case. Many other designers will have worked on various emoji designs in the Apple Color Emoji font over the decade since this first release. Some will have worked on many designs, others on just a few. For the first emoji set, it's much simpler to note the designers involved. 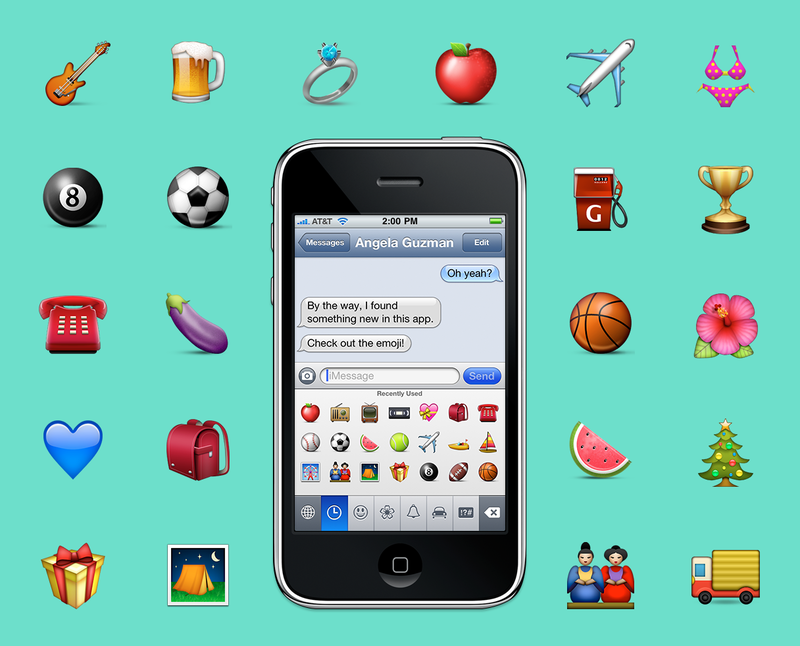 Above: Apple's original emoji set from 2008. Photo: Jeremy Burge. All of Apple's emojis in use on iOS in 2018 have been recreated (sometimes multiple times) over the years, though the spirit of the original designs lives on. What are Raymond, Angela, and Ollie up to now? Raymond still works on the UI design team at Apple, Angela is now working as a designer at Google, and Ollie is Creative Director / Partner at Yap Studios. Earlier this year, I spoke to Angela Guzman on the Emoji Wrap podcast about what it was like being around when Steve Jobs gave the go-ahead on that first emoji set.